We’ve found great deals at 21 hotels! 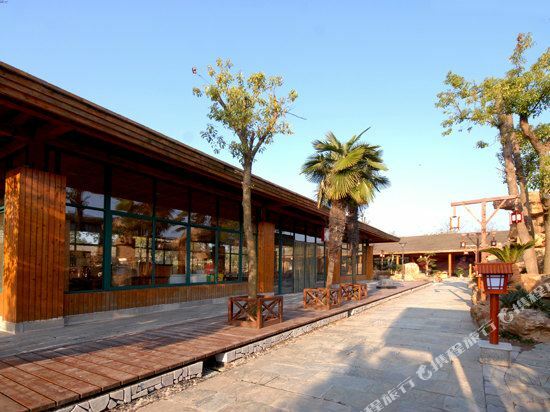 The Chaohu Fragrant Hot spring Spa Resort (Xiangquan Wenquan Dujiacun) is about an hour’s drive southwest of Nanjing. Hungry guests can enjoy local dishes cooked in Sichuan, Huaiyang, Anhui and Cantonese styles. Meeting rooms and a business center are provided for business travelers. The hotel features a host of recreational facilities including a nightclub, outdoor swimming pool and children's play area. 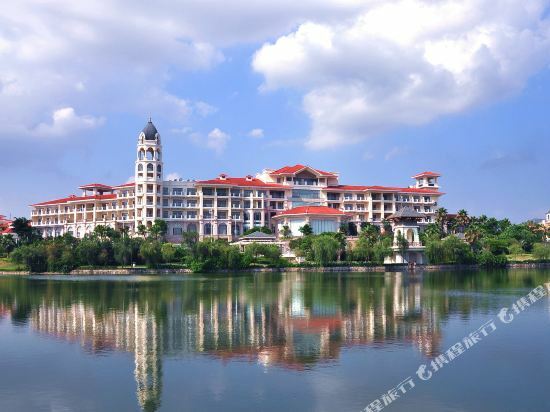 Located near Lushan Lake, the Country Garden Phoenix Hotel Hill Lake City (Biguiyuan Rushanhu Fenghuang Jiudian) is 45 km from the city's downtown. Maanshan Railway Station and Nanjing Lukou Airport are accessible within 60 and 100 minutes by car, respectively. This hotel offers several rooms that come with all standard amenities as well as mini bars, in-room safes and wireless internet access. Handicapped friendly rooms are available upon request. Guests dining on-site can choose both Chinese and Western cuisines. Guests who prefer to dine in the privacy of their rooms can order room service. Meeting facilities in the hotel include conference rooms and a business center that offer a variety of services. For recreation, guests can get steamed up at the sauna, play billiards, ping pong, bowling, tennis, racquetball, football or basketball, make full use of fitness facilities or take a refreshing dip at the indoor swimming pool. If you want to stay at the best hotel in He County, Trip.com is here to help! Planning a trip to He County? He County may not be a metropolis, but there are still great hotel options on Trip.com. You can plan a day tour in He County. He County is not far from Ma'anshan and Hanshan. These places can also be included in your itinerary. Though there is no civilian airport, it's still easy to take a bus or train to reach He County. It's easy to travel by bus in He County. There are buses to surrounding cities available every day. There are not many hotels in He County. Guests are advised to book in advance. When looking for hotels in He County, there are likely good options at a nightly budget of just 22 USD. There are 1 five-star hotels in He County at an average price of 56 USD per night. There are 1 four-star hotels in He County at an average price of 33 USD per night. There are 0 three-star hotels in He County at an average price of 21 USD per night. There are 1 two-star hotels in He County at an average price of 16 USD per night. There are not many well-known chain hotels in He County, but staying at a unique local hotel will make you feel at home. 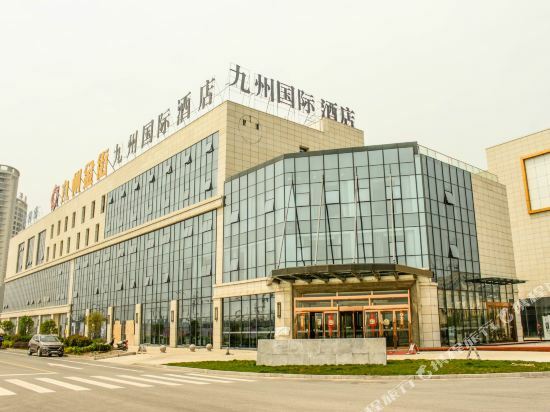 Hotels under the Qingmu brand are a good choice. 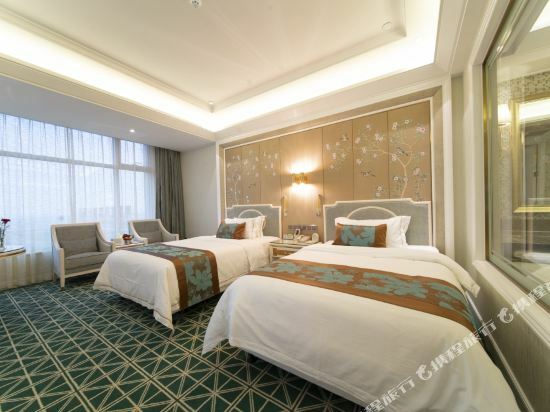 In He County, chain hotels such as Qingmu are one of the top choices among travelers. A popular hotel in He County, Yunfei Hostel is also one of the highest rated. Many tourists also stay at Jinjiang Business Hostel. There are quite a few parks like Taohuawu Park, all of which are great places to relax and spend time with friends and family. He County hotel information & deal: Check out room rates, photos, a map and reviews of hotels in He County and find the best deals on He County hotels. Trip.com offers big savings on online reservations for He County accommodation. Book He County vacation packages and He County tours with huge discounts on Trip.com!